This module add a carousel with manufacturers/brands logos home page in your shop, with link on the image to directly go to manufacturer’s page. This module automaticaly re-use brands you add in backoffice. Simple and effective way of presenting your manufacturers. So let your customer to see that you have products of a Brand that he likes and it will force him to purchase it from your store. Show manufacturer logo as list or slideshow. Very easy to integrate into your shop. Order by manufacturer name or id. 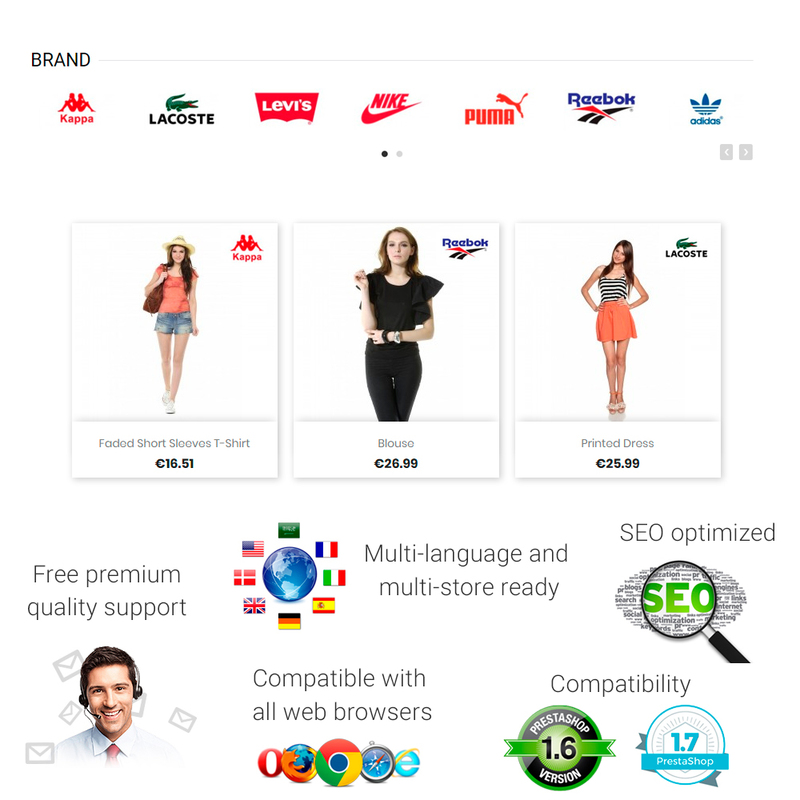 Display logo on product and category page.